Do you want PTZ (pan/tilt/zoom) cameras on your drilling rigs? We don't recommend them for many reasons. They are no longer necessary. 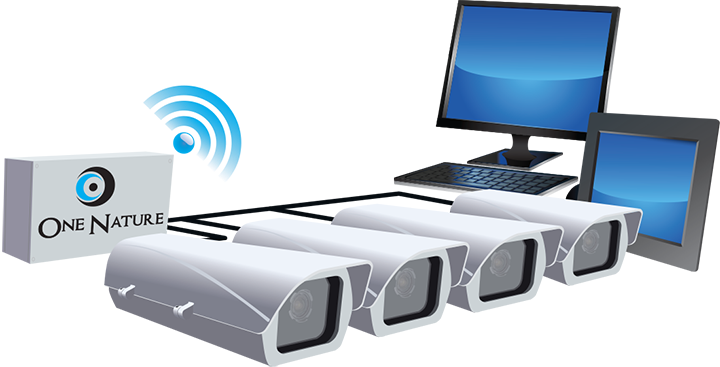 Fixed IP Cameras have a wide angle of view, and great resolution. The Driller can now easily zoom in and out, and around the camera's field of view. A PTZ that is hazardous rated is far more expensive than having multiple fixed cameras. The PTZ cameras have many moving parts leaving it vulnerable to multiple areas of failure, which leads to expensive repair. We recommend keeping it simple. Use a Class 1 Div 2 fixed camera and keep the focus on the essentials. We are happy to help you with your camera networks. We can be reached at 832-779-1779, or using our Contact page at www.OneNature.US.